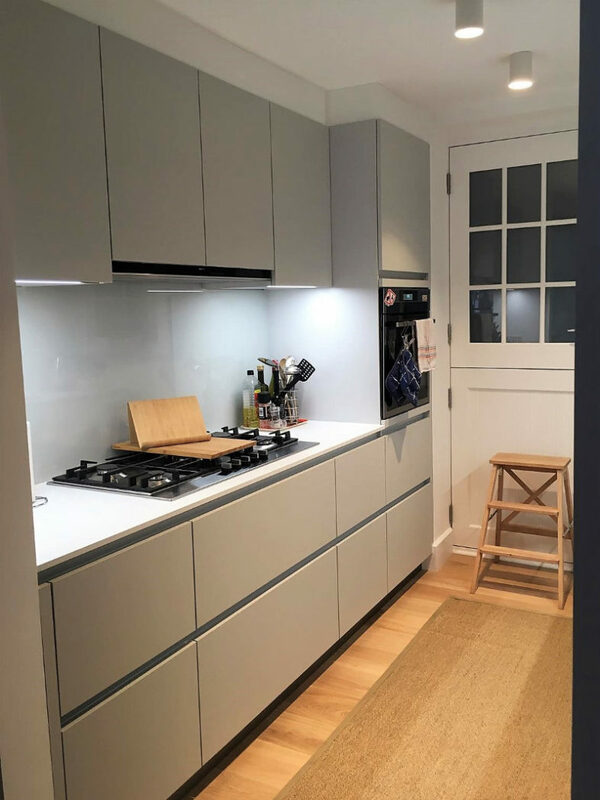 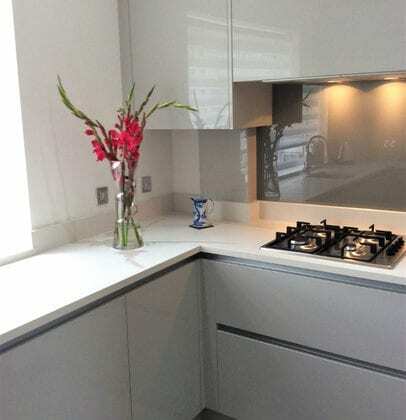 Light grey coloured door from the handleless Lumina range. 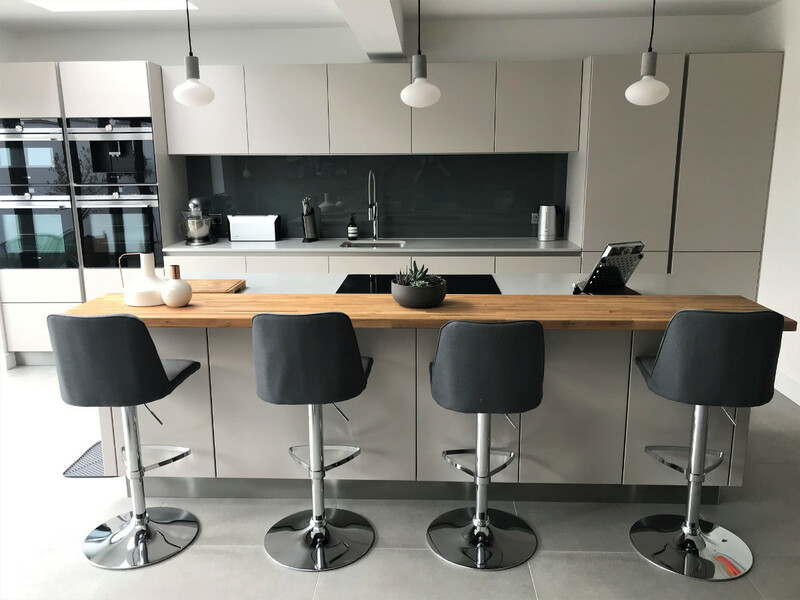 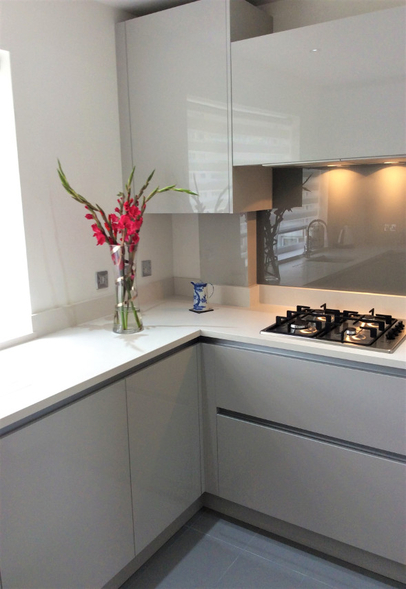 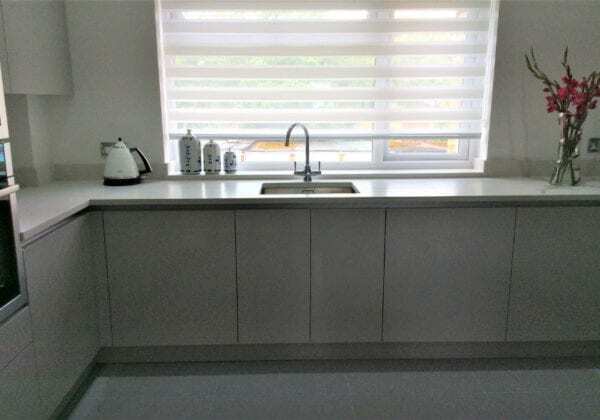 Contrasting coloured Quartz stone worktop in White zement at 30 mm thickness with a bevelled edge. 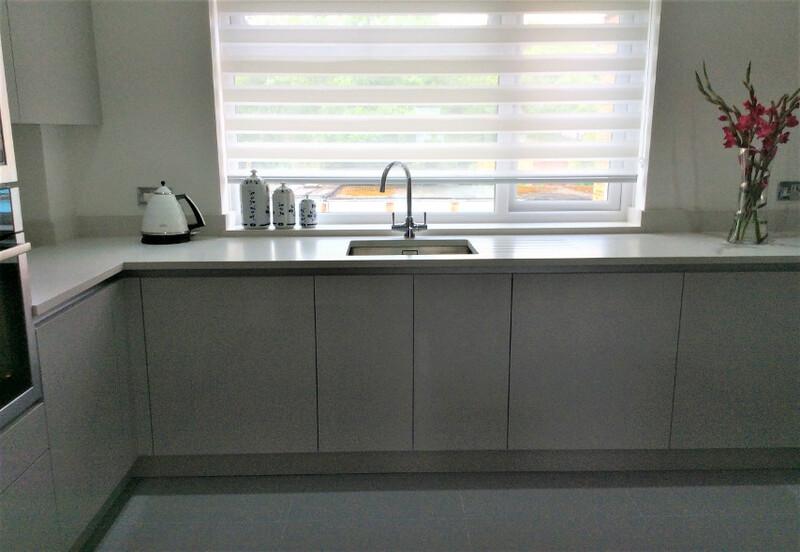 The 900 mm corner wall unit is a special construction to house the boiler.